Maybe it’s that I am now settling into and decorating a permanent home after years traveling as a digital nomad, but I’ve been consuming a lot of HGTV. For those that aren’t familiar, they have a great show called Home Makeover where they totally change the look and feel of the home, but keep it’s strong foundation. Why am I telling you about my newfound fascination with interior design? You might have noticed the Jungle Scout Web App has had a makeover of it’s own. Same strong foundation, same benefits and value, just with a glossy new look and some very cool feature upgrades 🎉. We even solidified the foundation with some more accurate sales estimates, but more on that later…. 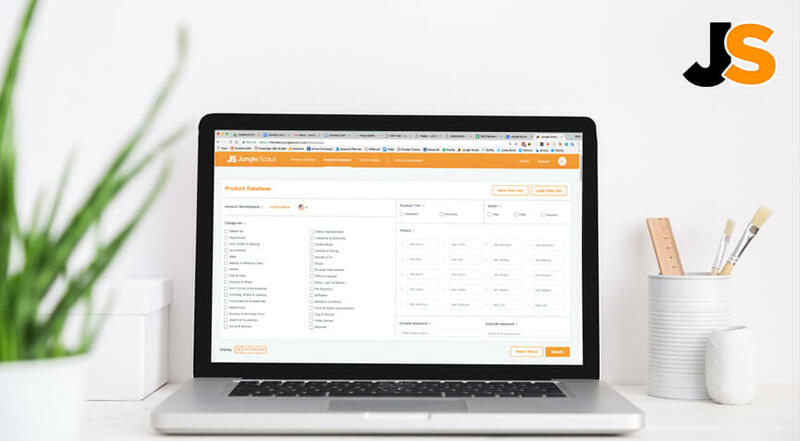 This new design is focused on creating a more intuitive flow for users, and simplifying the user experience to help drive a faster and more efficient experience for finding and validating product ideas. We launched the Web App back in August of 2015, with the mission of helping people find and validate profitable products to sell on Amazon. Nothing has changed in our mission. But we have continued with laser-focus “behind the scenes”, in regards the product features and sales data estimates. Since our launch, we have also been continuing to collect your feedback, feature requests, and questions so that we could tie it together in a polished v2.0 of the Web App. So without further adieu, please let me take you on a brief tour…. 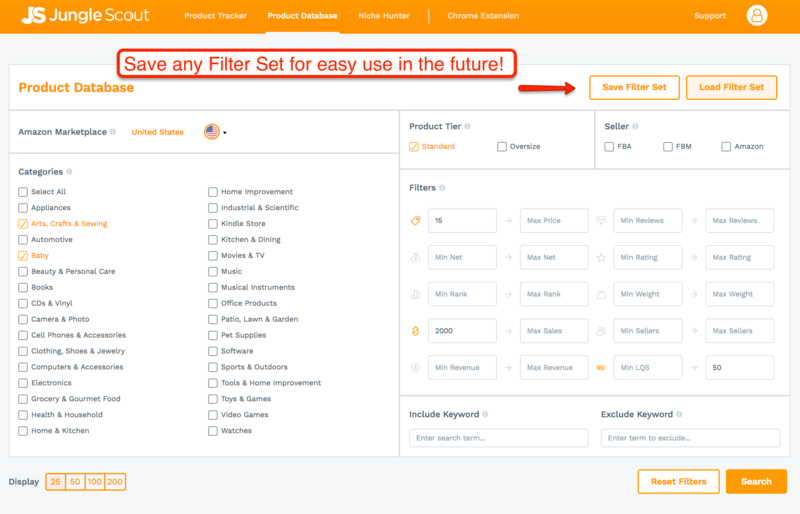 When you have stumbled upon a Product Database filter that works for you, you want to save it for future use. Until recently, this was not possible. Every time you logged into the Web App’s Product Database, you would have to re-set your categories. But what if I want to have another product research session tomorrow looking at the same criteria for a different category? Well, now I can save the filter set, and just load it in the future! This is where I would name it. Notice that I am as specific as possible, including the Country (Marketplace), Categories, Price, Listing Quality Score, and other criteria that I used so I can easily remember what I used in the filter. 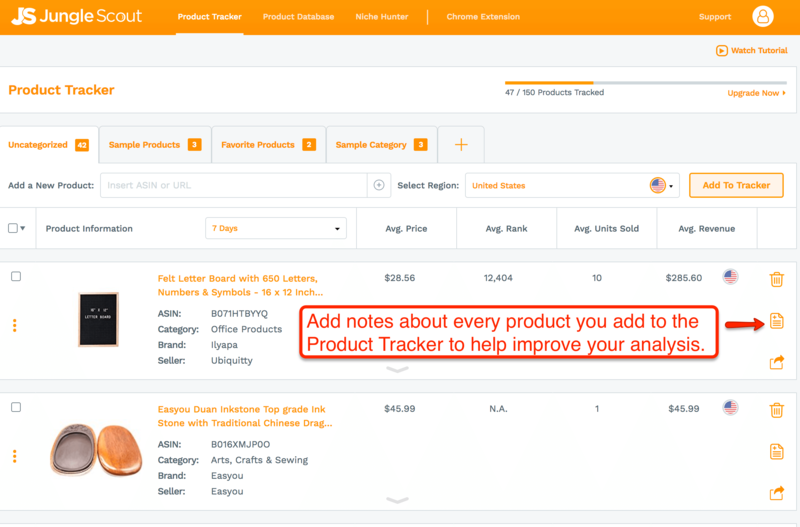 This is a feature that many of you have requested, and it is useful for building upon each product research session. I am so excited that it is now fully live! If you’ve seen how I like to do Product Research, you know that I have a basic checklist that I like to go through. Here’s a post on how I found a killer product (bamboo marshmallow sticks). But when I was going through this process, I ended up taking a lot of notes, which were eventually scattered between various online notes, Google docs, spreadsheets, and more. When adding new notes, I find that it is helpful to categorize the note. You can also insert images (helpful if you have a screenshot that you want to add of a sample or a competitive product, for example). We have covered a lot about Amazon SEO and keyword research in the past. 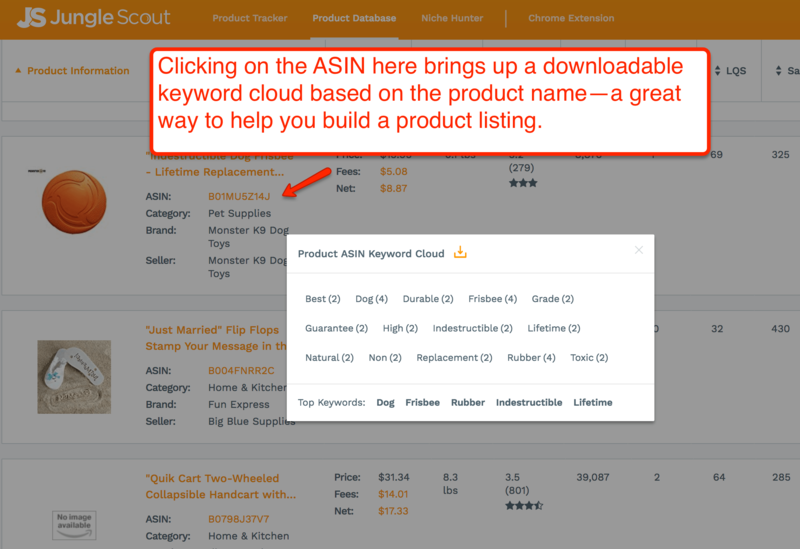 Here’s a good post of how I built an SEO-friendly listing for one of my products. But how do you know which keywords you should target when putting your listing together? If you are paying for pay per click ads, you could dig in to your Search Term Report to see what people are searching for. This is a great methodology, if you currently have an active listing and can dig through actual search queries and advertising data. 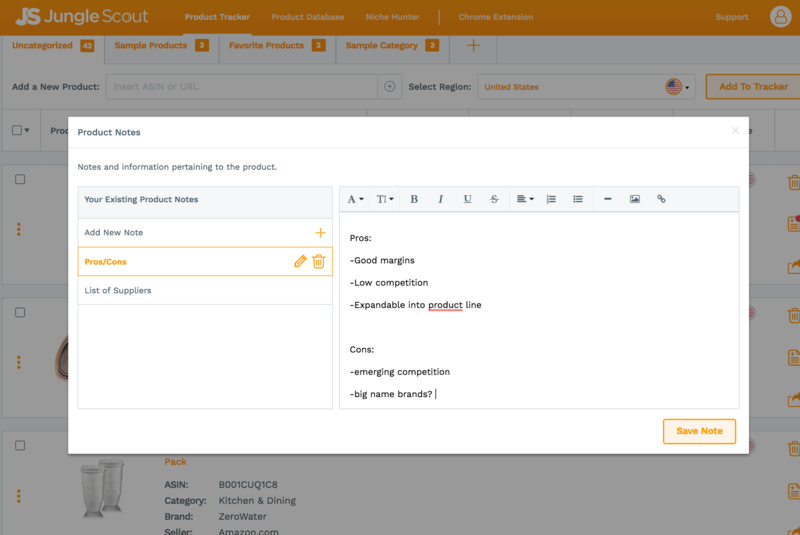 To do this, I would add a few of the main competitors for my new product, and then pull up the Keyword Cloud. Are you including some of these keywords in your Title, Product Features, or Product Description? How about your backend keywords, to help Amazon identify what type of keywords you wish to rank for? This actually looks like a nice niche–10/10! Where Are These Sales Estimates Coming From Anyway? The new features and updated design that I outline above are just the beginning of improving your product research as an Amazon seller. This redesign is the decoration on top of the strongest foundations – accurate sales estimates. In fact, I can unabashedly make this statement: Jungle Scout has the most accurate Amazon sales estimates in the world! We have even given these estimates a special name: AccuSales™. For the past few years, we have focused on building the most robust algorithms to generate our sales estimates. The team includes a PhD-wielding Data Scientist, a Statistician, and multiple smart developers. They are working tirelessly behind the scenes of this new Web App design, ensuring that the algorithms are processing over 500 million data points collected every day with precision, and providing you with the most accurate estimates to fuel your business. You can read more about AccuSales™, and our methodology for generating the estimates here. 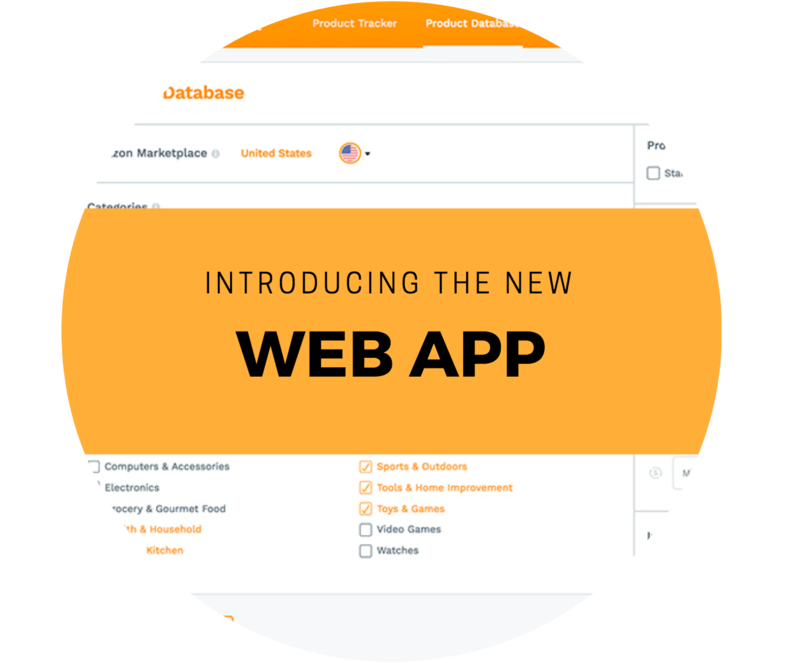 Now that you’ve had a brief tour of the new and improved Web App, I hope you get active leveraging these features to help uncover your next opportunity. What do you think of the new design and features? Please drop a comment below to share your thoughts! And if you have any other feature requests or feedback, we are all open to your feedback, email us [email protected]! Not a Web App Member yet? Get started now RIGHT HERE! How do I decide whether to get the app or the extension? Both the Web App and Extension are incredibly helpful during the product research phase, and they each have their own unique benefits. 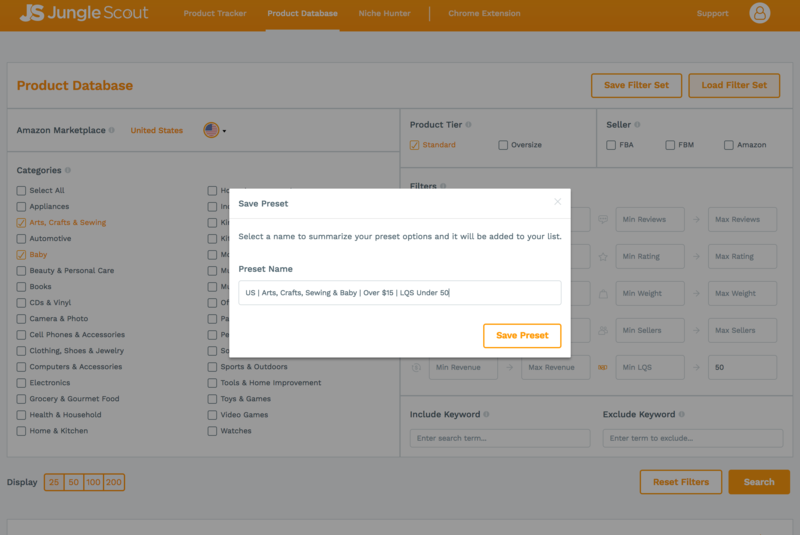 The app will help you filter Amazon’s entire catalog of products to find potential ideas, and the extension provides even more data right on the Amazon product page. The product database isn’t loading results after page 25. It says 29000 results found and I chose to display 200 results per page so I should still have more than 100 more pages. Hey Greg, I am just beginning, I have an Amazon Sellers account, and therefore need a step-dy-step guide on how to locate a manufacturer, how to place an order, inspect it, Pay, and have it sent to my account at Amazon. I’m reading and applying all I can find on JS. I’ve learned a lot, you’re the man. Please help. is the keyword cloud available on chrome extension lite? I tried to see if I could use it and I don’t see it. I really want to try jungle scout. Do you have a free trial period promotion?